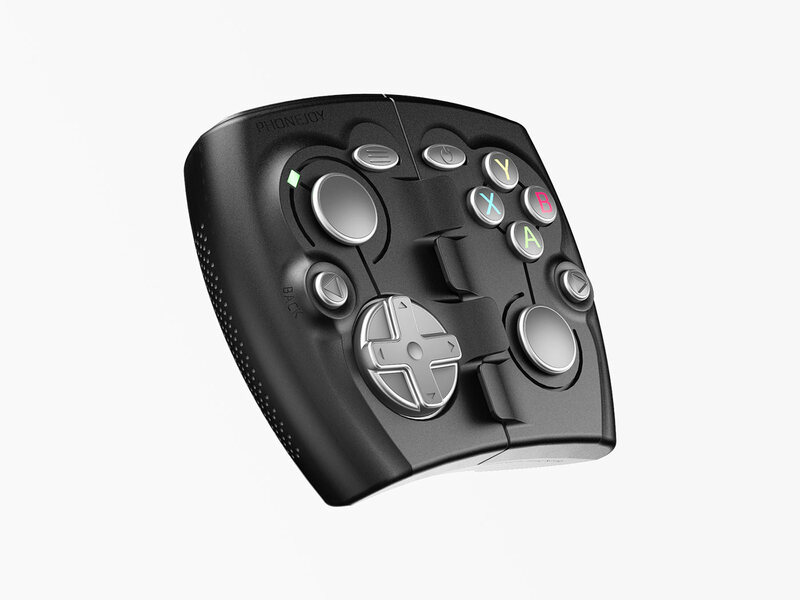 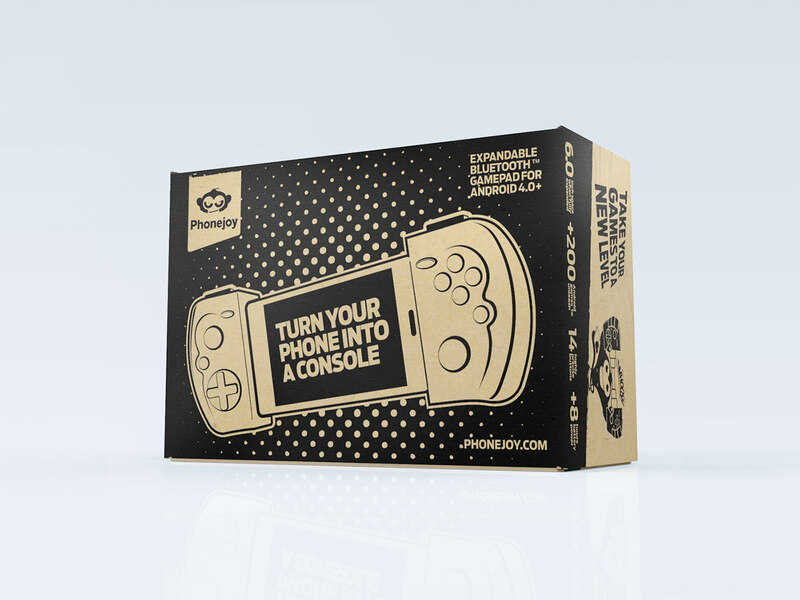 After our team previously developed Phonejoy’s brand and product ecosystem, the startup needed a powerful yet cost-effective e-commerce packaging, also capable to present its game controller in small POS environments. 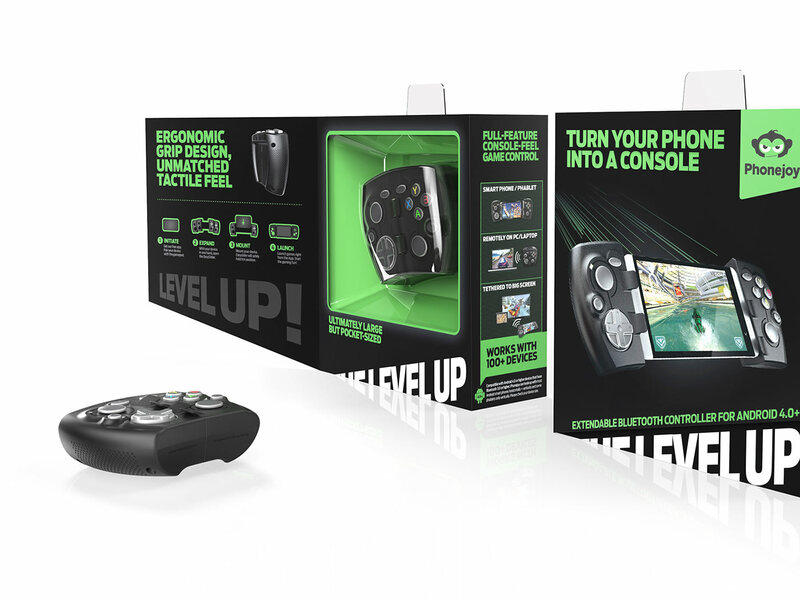 Envary approached the design development of the packaging with the objective of avoiding any use of additional shipping carton that could potentially increase shipping cost for many of the overseas customers. 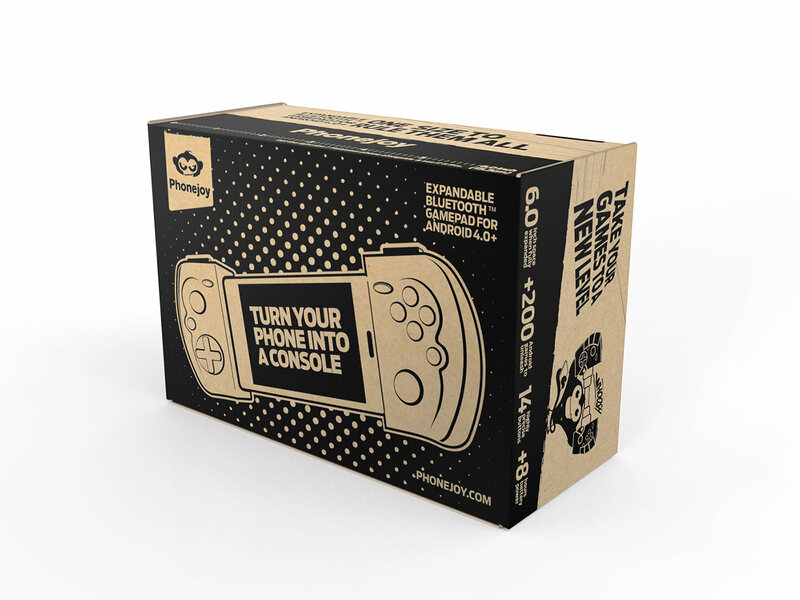 With the aim of a cost-effective packaging that could also help reducing costly returns due to shipping-related damages, the box had to securely house the controller, several accessories and a pouch yet convey the same ‘cool’ that Phonejoy’s product already embodied. 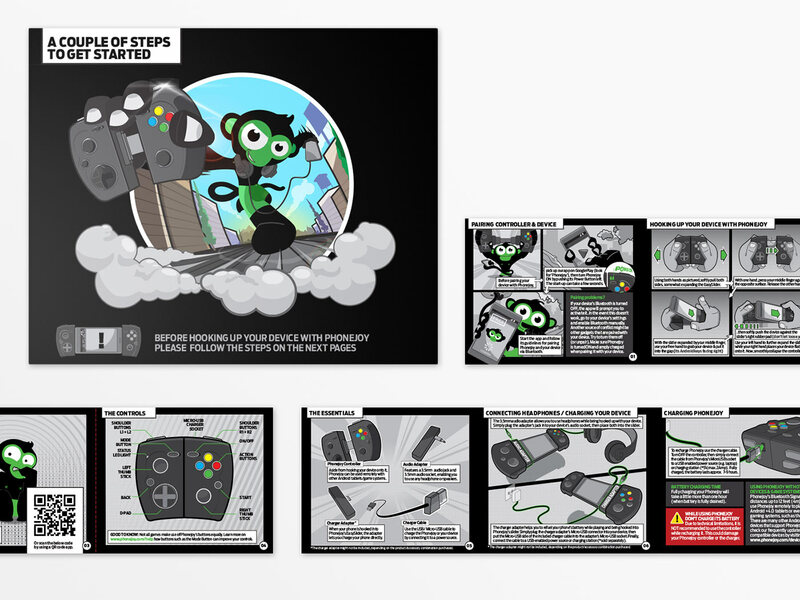 What we did: Inspired by Phonejoy’s ape mascot we created cartoon-styled visual theme, completely based on mono-black stencil graphics. 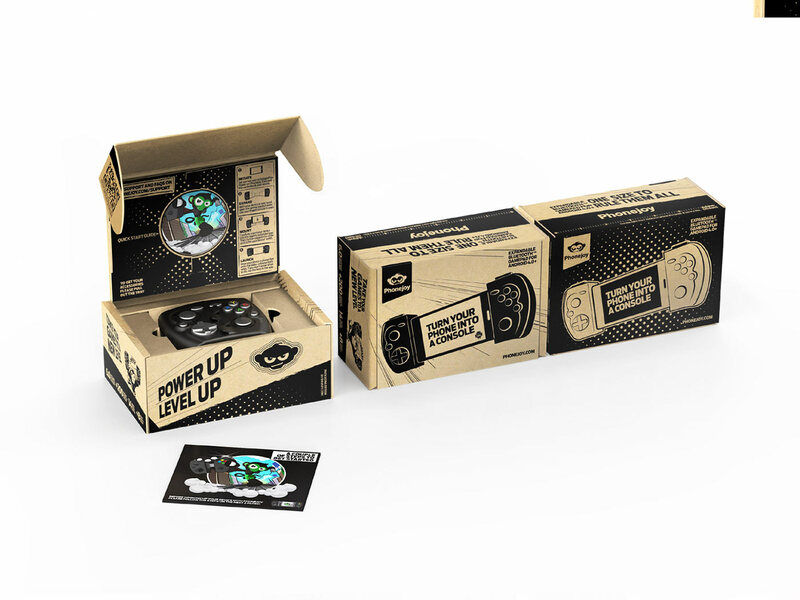 Enabling retailers to stack the boxes in varying combinations we designed the box’ front in negative black and its rear the contrasting positive, ideal to print on recycled stock of corrugated Kraft board. 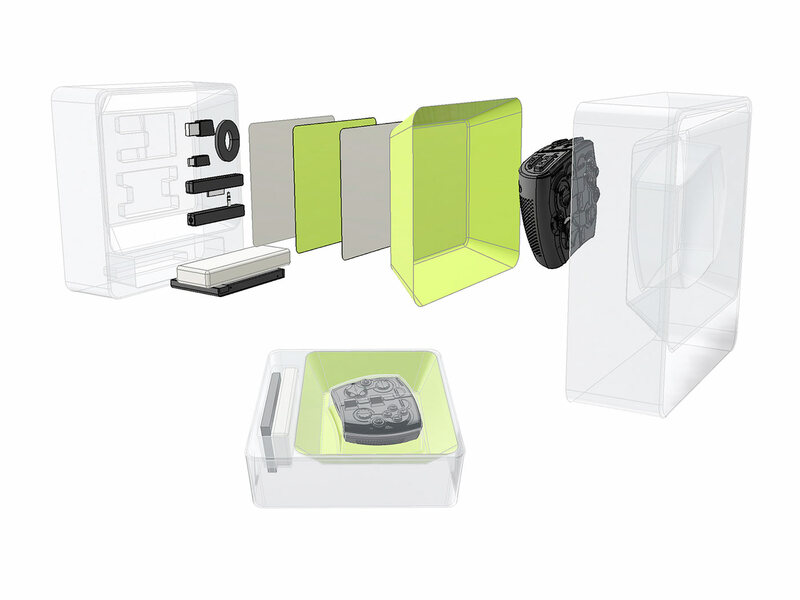 We then developed a 2-part box structure that would reveal a few guidelines in its interior despite being entirely printed on the board’s upper side. 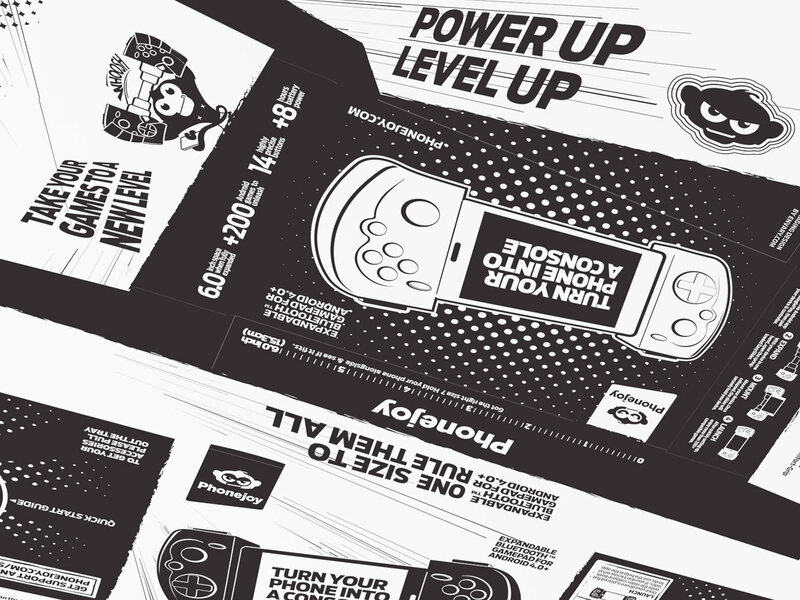 In conjunction to the box we also designed a playful manual based on the cartoons Phonejoy occasionally published to amaze its fans. 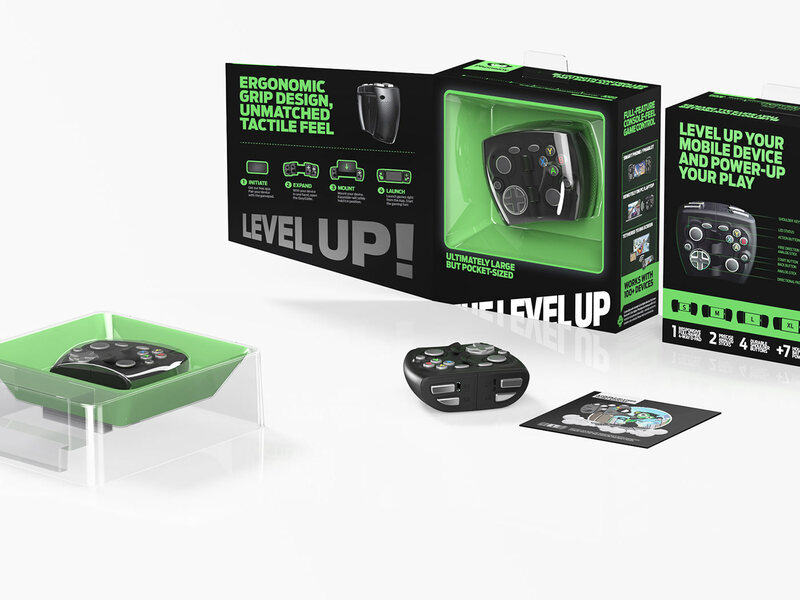 The sustainable box was praised in many unboxing videos and reviews, shared hundreds of times.